On 15 August 1750 one of the most radical socialist atheists of all times was born in Paris. Sylvain Maréchal, a poet whose Manifest of the Equals was too much even for the egalitarian conspiracy of Gracchus Babeuf, was the author of an Almanach des Honnêtes Gens, in which he proposed a new calendar replacing the names of the Saints with those of the "benefactors of humanity" -- philosophers, writers and scientists. Maréchal left one blank in his Almanach: August 15, his birthday. The following documents are available. They are all in French. The IISH holds one of the largest collections of Maréchal's writings anywhere. Please consult our online catalogue. 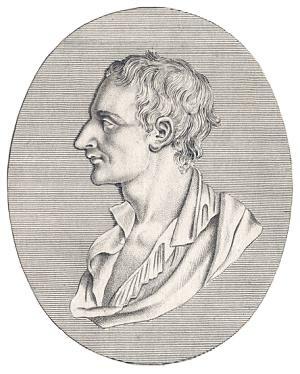 Maréchal's portrait, the only one known, is taken from the edition of his De la vertu published in Paris in 1807.